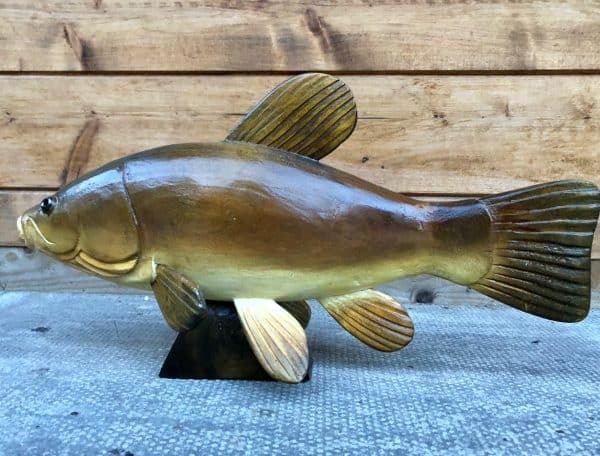 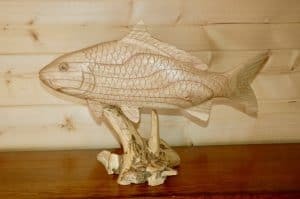 Here is a beautiful hand carved and painted Tench. 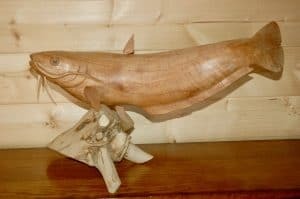 It measures 33cm from nose to tail and is mounted on a wooden base and hand carved from Lime wood. 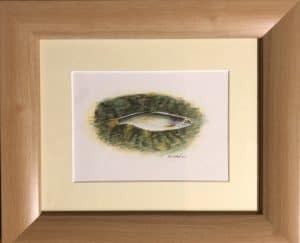 A stunning artisitc piece which needs to be seen to be fully appreciated.